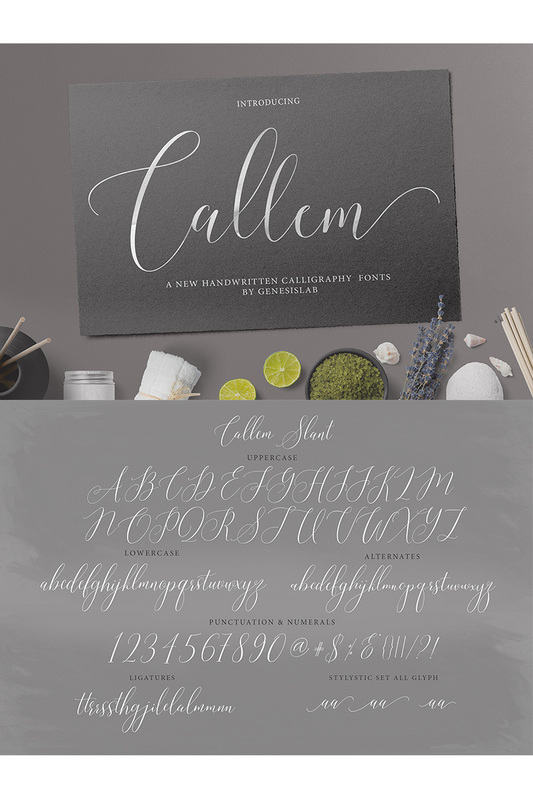 Callem Script and Slant the latest font script with beautiful calligraphy style from natural handwriting commensurate with classic contemporary style and very natural, now you can also get this beautiful font to make craft. design year-end you start now can you start here! 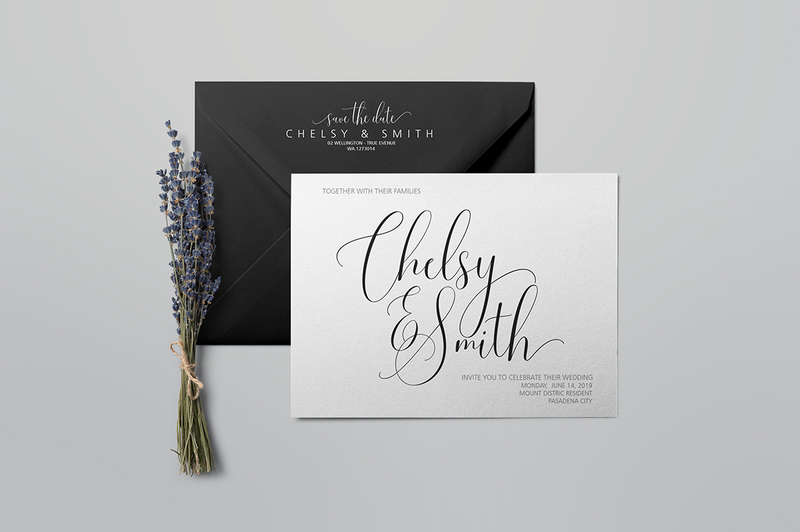 This font is perfect for wedding invitation design, signature, letterhead, logo, shirt, and everything in between. 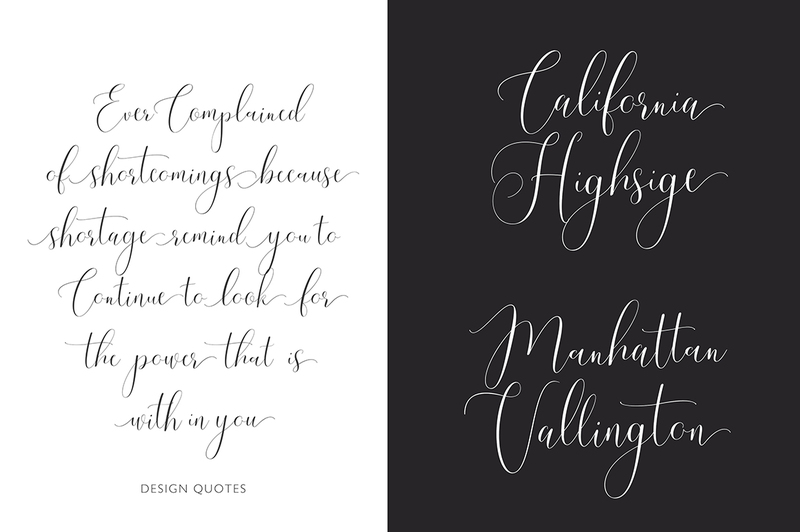 With so many OpenType features available, you can mix and match styles to create the perfect work. 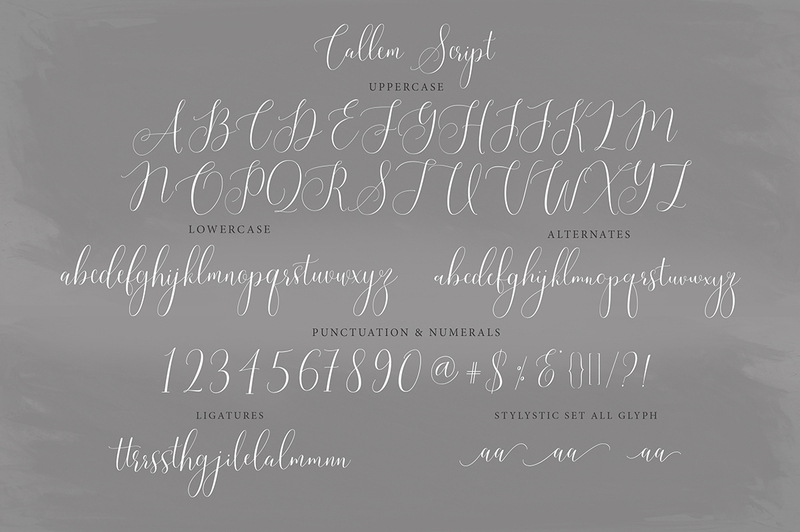 There are 362 Callem Script flying machines and flying machines Slant and Script will allow you to design alternative design features featuring the most amazing Open divided into Swash, Stylistic Sets, Stylistic Substitute Contextual Substitute, and ligature. 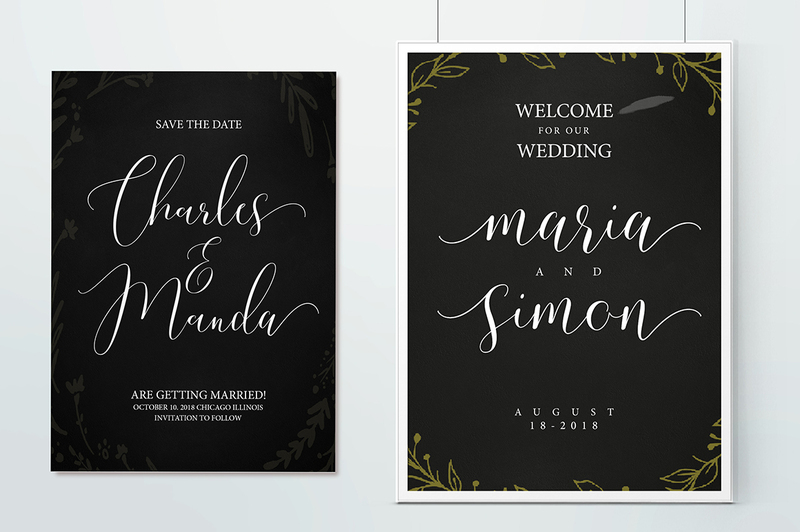 Open-type features can be accessed by using intelligent OpenType programs such as Adobe Illustrator, Adobe InDesign, Adobe Photoshop Corel Draw X versions, and Microsoft Word. Fonts have been assigned PUA Unicode (font-specific code). So that all easily accessible characters can complete and orderly.